With the fall of Adam and Eve, the whole creation became corrupt. At times, nature has been hostile toward humans as strong winds, floods, earthquakes, and more threaten their lives. Even in this age of great discoveries and advances in the medical field, many kinds of diseases and illnesses still plague the human community, claiming lives daily. The Evangelist Mark paints the tragedy of human existence and introduces Jesus Christ as the one with power to restore in nature and people the harmony that was lost through sin. 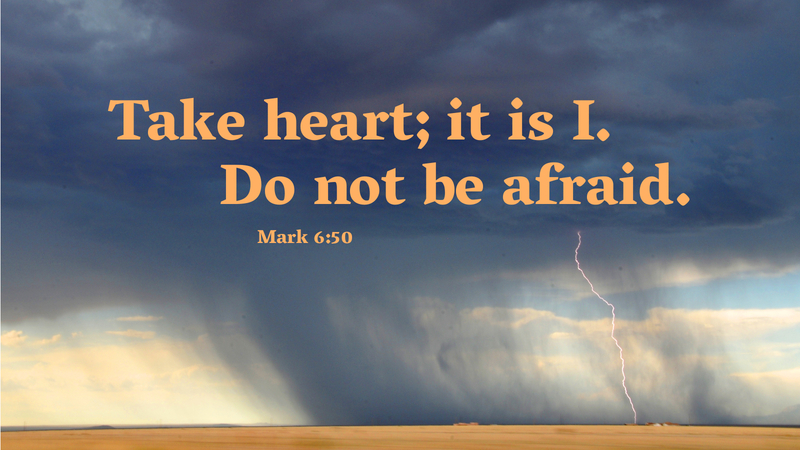 To the disciples frightened by strong winds, Christ’s presence brings relief and peace. To the many people struggling with sickness, Jesus’ presence brings restoration. Two thousand years after Christ’s death, resurrection, and ascension into heaven, the world continues to be plagued by natural disasters, and many kinds of illnesses and diseases. To whom shall we go? We are to go to Jesus who stands in our midst even when our fears and burial into our problems prevent us from recognizing him. He is not only able to calm strong winds and deliver us from illnesses and diseases. He grants the forgiveness of sins and permanently restores our relationship with our heavenly Father. Prayer: Lord Jesus Christ, you who came to set us free, have mercy on all who are afflicted, and deliver us from the adversities we face in this life. Amen.